This is F-ORLY, an Airbus A330-323X flying for Air Caraibes since delivery in 2006, on this occasion visiting Zurich. It has two Pratt & Whitney PW4168A engines. 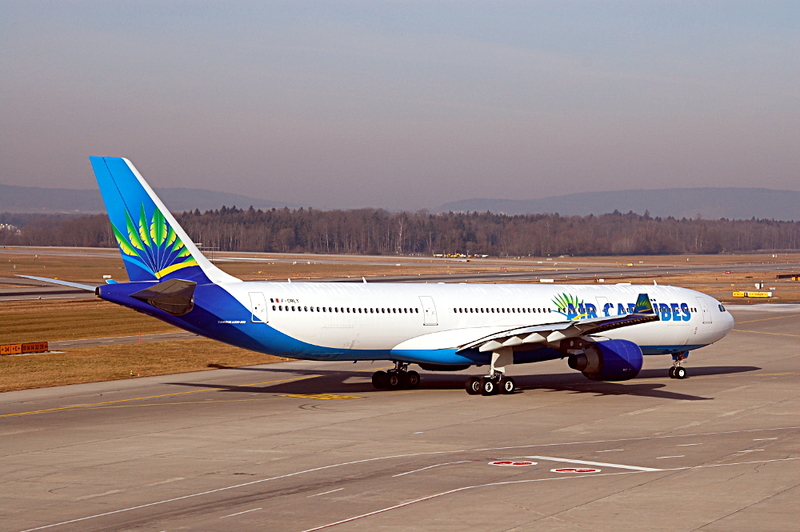 Air Caraibes is an airline headquartered in French overseas department Martinique.